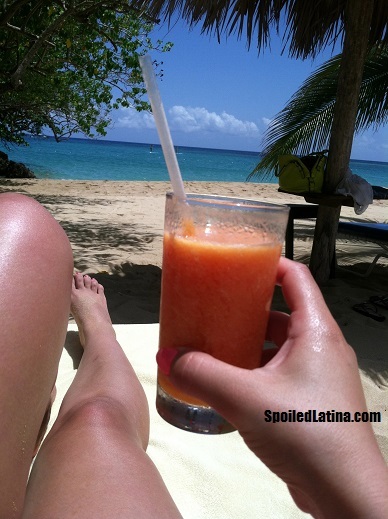 I had the most relaxing time ever during my vacation at The Jamaica Inn in Ocho Rios, Jamaica. While planning our vacation, we knew we didn't want a huge resort overflowing with hotel guests, and since this was our first vacation without our 3 year old, we didn't really want to be around any children. I know kinda posh but hey, that's how I do. lol I wanted a beach and we decided on Jamaica as our destination for the week. We stayed for 5 days, 4 nights in a premier veranda suite overlooking the ocean. I loved that the rooms didn't have a television making it the most wonderful, relaxing, romantic and favorite vacation thus far. We laid on the beach for hours, went on boat rides, couples massages, dinner in our room, breakfast in our room balcony. We met one of the owners, who owns the hotel with his brother. His father bought the hotel in the 1950's after the war and have kept it in the family since. As a matter of fact his daughter is going to hotel school, so that she will one day manage the property. He stays and lives on the property It was amazing! Truly a 5 star resort. The friendly staff makes it so easy for you to love and call The Jamaica Inn your home away from home. The property has no more than 50 rooms including private cottages that are to die for with spectacular views of the ocean. I had the BEST Calamari, the BEST Curry Chicken, I crave the fruit smoothie that is complimentary as your first beach drink every morning on the beach. The breeze, the sun, the view. If your lucky enough to be there on a Tuesday, the staff has a manager hour with complimentary drinks and an amazing buffet and dinner on the beach. Before I forget, it was mentioned that Kelly Rowland was supposed to get married here and later called off the wedding and returned with friends and family on a getaway. Enjoy the pictures and be sure to visit Heaven on Earth at the Jamaica Inn. 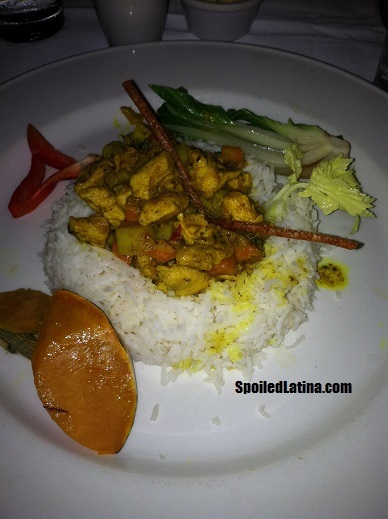 It's a little pricey and it is not an all inclusive, but as mentioned, good food, good service, and you can't beat it! Marilyn Monroe and her husband on honeymoom at TJI. Can't wait to visit you again Jamaica Inn! *my camera took all pictures.